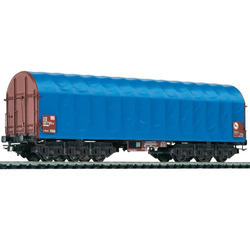 We are one of the leading Manufacturer, Exporter and Supplier of a wide range of Railway Wagon Cover. Our offered range of covers are designed and developed using fabrics in compliance with the industry standards. Our product is put to test as per strict quality norms in every phase of production. We are dealing in Railway Wagon Tarpaulin Cover. Our covers are 100% waterproof, wind resist. The fabric is used in open railways wagon covering for their valuable goods like salts, cements, fertilizers, coals, sulphur, lime powder, etc. We can provide your brand to every nook and corner of country. Various Color Railway Wagon Cover, Size: Available In Various Sizes. Available Color: Blue, Black, Red, White etc. 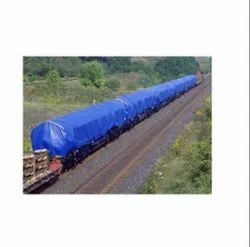 We offer Railway Wagon Cover. Keeping customer satisfaction as the main focus, we specialize in manufacturing and supplying a wide assortment of HDPE Wagon Cover. These HDPE wagon covers are available in a gamut of attractive colors and sizes. These wagon covers can be customized as per specifications given by the clients. These products are quality complied with Indian as well as International standards. We are among the trusted manufacturer, exporter and supplier of a wide range of Railway Wagon Cover. Offered range is precisely manufactured using fine quality basic material, procured from the certified vendors. We are offering Waterproof Railway Wagon Covers to our client. We have carved a niche amongst the most trusted names in this business, engaged in offering comprehensive range of Railway Wagon Cover.